It’s hard to describe the feeling of finding your first gold nugget in an old stream bed. It sits there in your pan shimmering, the way that only gold can. You immediately recognize it’s power, it is intoxicating. 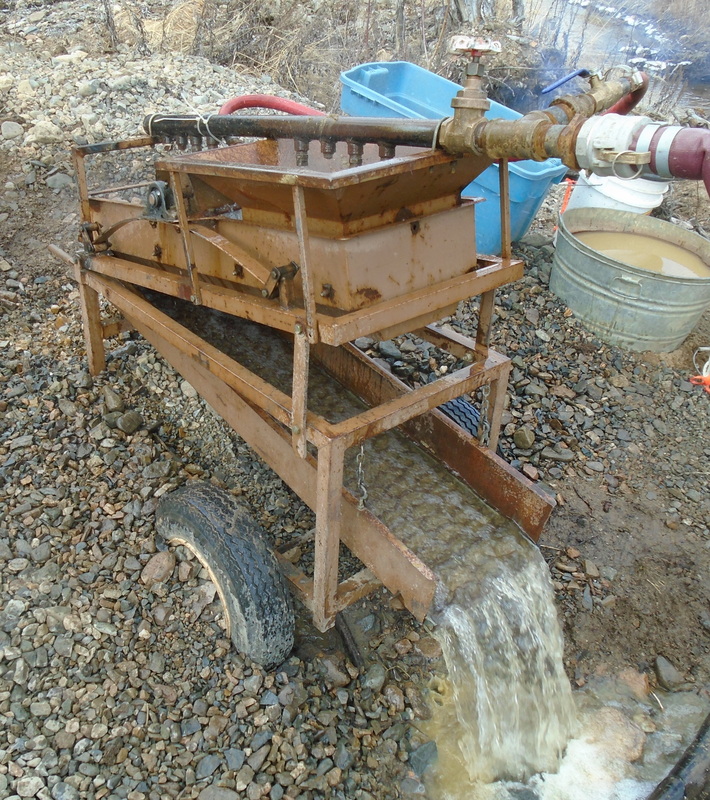 This is what drives prospectors past and present to take great risks in the search for gold. There’s more than just the value of gold that attracts us to it. The word “placer” itself comes from the Spanish word meaning “pleasure”. For some it is an addiction, for others it symbolizes wealth. You’ll be hard pressed to find a member of the human species who wouldn’t be interested in some gold. 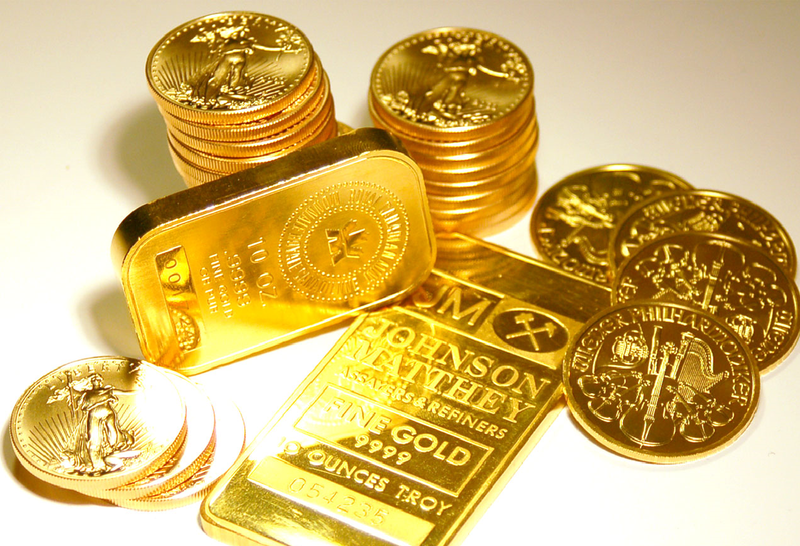 Gold has several properties that make it desirable. Most importantly it does not rust or tarnish. 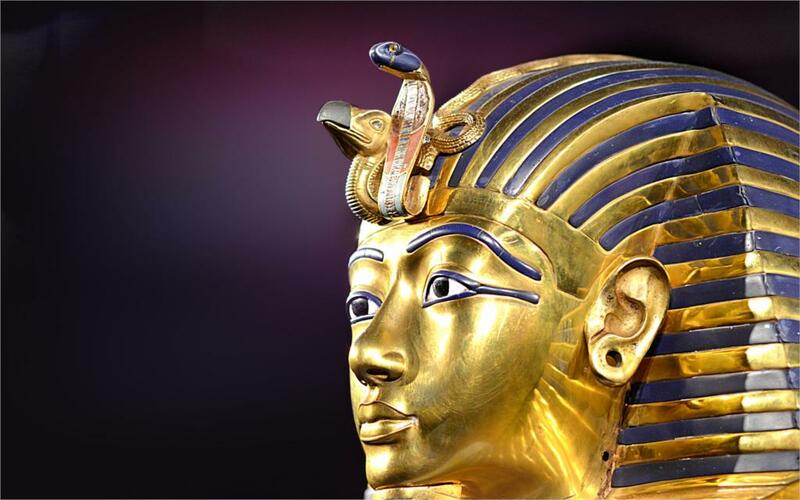 Gold artwork discovered in the tombs of Egypt looks just as lustrous today as it did 5000 years ago. Why is that? Gold belongs to a group of metals called the “Noble Metals”. They’re called noble because like nobility in old time monarchies they don’t associate with others. It’s fancy way of saying that the metals don’t readily react. Conversely iron will readily react with oxygen to form iron oxide (aka rust). Gold and other noble metals, such as platinum, possess a very strong atomic structure that requires a lot of energy to disrupt. The ability to maintain over time is common of all valuable substances. A diamond for example produces a characteristic glow when cut and faceted properly but what good would it be if it disintegrated a month later? Diamonds are extremely hard and have a rock solid crystal structure. Other valuable gemstones all share similar properties, emeralds, rubies, sapphires and garnets all sit at the high end of the hardness scale. While gold isn’t hard in a geological sense it maintains it’s shape and luster indefinitely. Gold is also very malleable. Meaning that it can be hammered or pressed into various shapes without cracking or losing its consistency. You could stretch an ounce of gold into a wire 80km long or produce a sheet of gold leaf 80 meters by 80 meters wide. Gold is also an excellent conductor. Not quite as good as copper but a better conductor than nickel, brass, iron, tin, and aluminium. Gold conductive wire is used in many critical electronics applications such as computer motherboards, smart phones and satellites. What really makes gold valuable though is it’s scarcity at the earth’s surface. 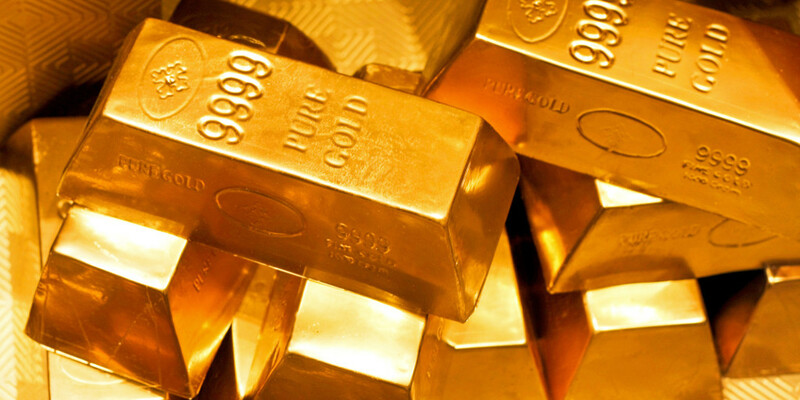 Approximately 165,000 metric tons of gold have been produced in the entirety of human history. While that may sound like a lot the amount of gold produced by mining is extremely small in comparison to other metals. 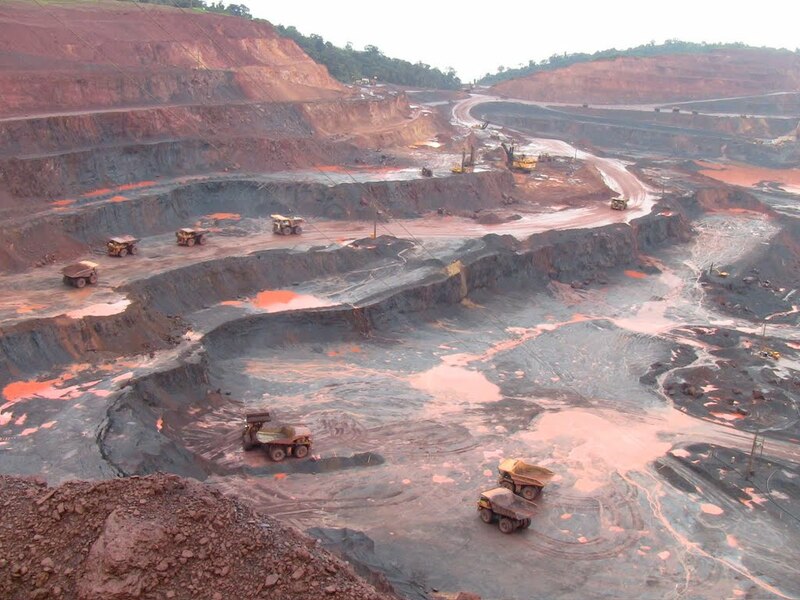 For example the Carajás Mine in Brazil produces an average of 300 million metric tons of iron per year and has a deposit estimated at 7.2 billion metric tons. And that’s just one mine. All the gold ever produced would fit inside one Olympic sized swimming pool. It is often stated that you can’t eat gold. While that’s not entirely true, (see gold covered pizza) an all gold diet wouldn’t provide much nutrition, and you’d probably have some digestive issues. 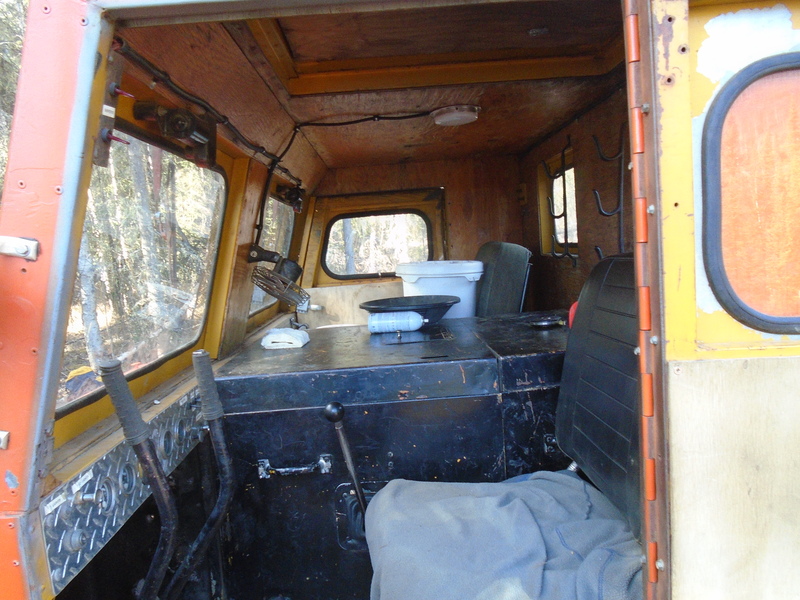 The yellow metal doesn’t appeal to our basic needs for survival but neither does money or a smartphone. That doesn’t make any of these things less valuable. We typically think of value in dollar terms. When evaluating an investment such as stocks or real estate it’s hard to think of anything else. Dollars are not constant though, they are subject to manipulation and inflation. For at least 6000 years gold has been used as currency and unlike modern currency is not subject to inflation. Modern currencies are what is called “Fiat Currency”. There is no standard on what a modern currency note can be exchanged for. Their value relies solely on people’s faith in it. Or more correctly their faith in the government. Inflation rates can severely affect the spending power of a dollar. There are countless examples, the most striking is the inflation of the German Reichsmark which rose from 4.2 marks to USD in 1914 to a peak of around 4.2 trillion marks to the US dollar by November 1923. At that time a wheelbarrow full of German marks wouldn’t even buy a newspaper. Historically world currencies were backed by the gold standard which meant that by law any amount of paper money could be exchanged for a specified amount of gold. In the 1920s each US dollar was backed by 1.5 grams of gold. The dropping of the gold standard in Germany during WWI allowed for the hyperinflation that followed. The United States dropped the standard during the great depression to avoid the federal gold supply from being completely depleted. Canada followed suit in 1933. There’s much debate on the merits of dropping the gold standard. What resulted though is the ability for the government to completely control the currency without requiring tangible assets (ie. gold) to back it up. 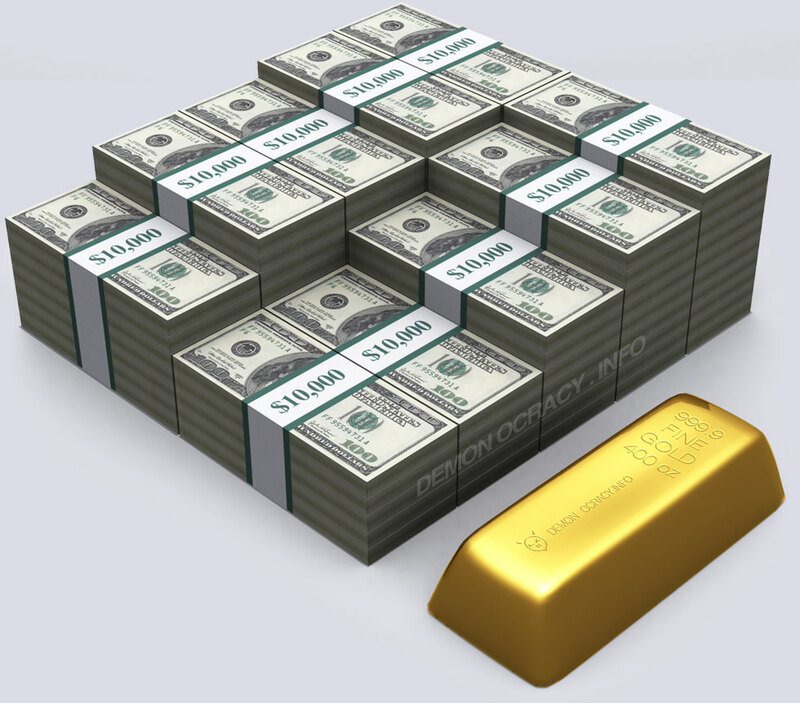 So if the dollar is backed by nothing and can be manipulated at will how do you gauge the value of gold. Or anything for that matter. True value depends on what people are willing to trade for your goods. Money makes it easy to barter and trade goods since it’s ubiquitous and there is an agreed upon value at any given time. For example if you want to sell your car on craigslist you’ll have an idea of how many dollars you want for it. Lets say you have a used Honda Civic. 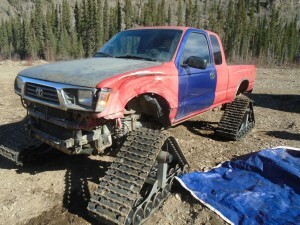 You could sell that easily for $4000 CAD. That same Honda Civic could be traded for a 1 carat diamond engagement ring. 50 years from now a used car might sell for $25,000 dollars due to inflation but the exchange rate of car to diamond ring would remain the same. The old adage that an ounce of gold will buy you a nice suit still rings true today. In the gold rush era (1848-1900) an ounce of gold would trade for about $20 USD, and would also buy a nice suit. A typical suit today would cost you about $450 USD. So it would seem that today’s gold would buy you 3.5 nice suits. You have to consider that in the 1800s nice clothing was not mass produced. To compare accurately you’d have to look at a tailored suit. A mid range tailored suit made in the United States costs between $1650 and $1800 today. At present gold is trading at about $1250 USD so the suit adage falls just above the quoted dollar value of gold. 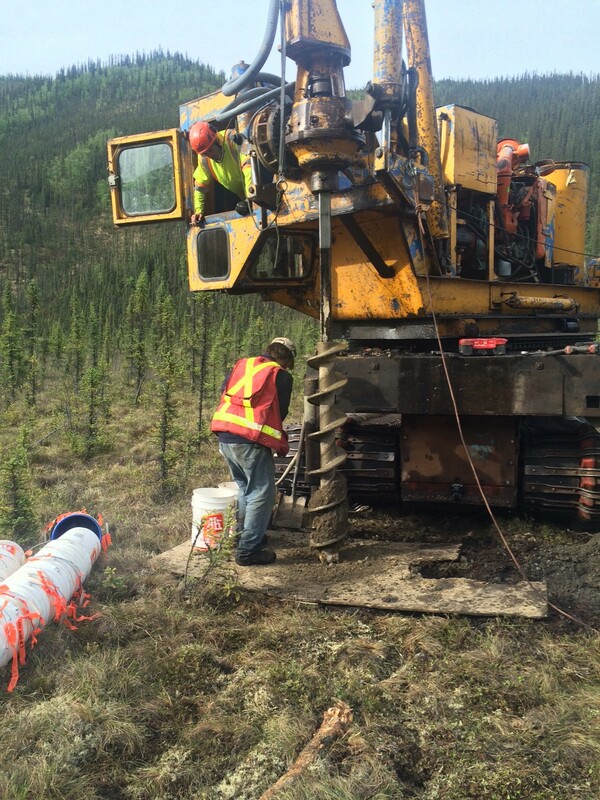 What really gives gold it’s value is the cost of exploration and production. Being very rare it takes a lot of effort to find gold. Once it’s found it is expensive to produce as well. For example Barrick’s Cortez mine in Nevada has an average grade of 2.11 grams per ton. That means that for every ton of ore processed they average 2.11 grams of gold. Barrick’s published production cost at the Cortez mine is about $900/oz. It really is remarkable that they can move and process the 15 tons of rock required to obtain an ounce of gold for $900. The cost of producing an ounce of gold varies for each mine. 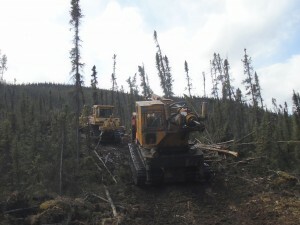 In a placer operation it is a constant cat and mouse game to keep costs low enough to make production economical. When gold commodity prices fall below production costs mines shut down and less and less gold is produced. The production cost, driven by scarcity is the single most important factor that drives the price of gold. 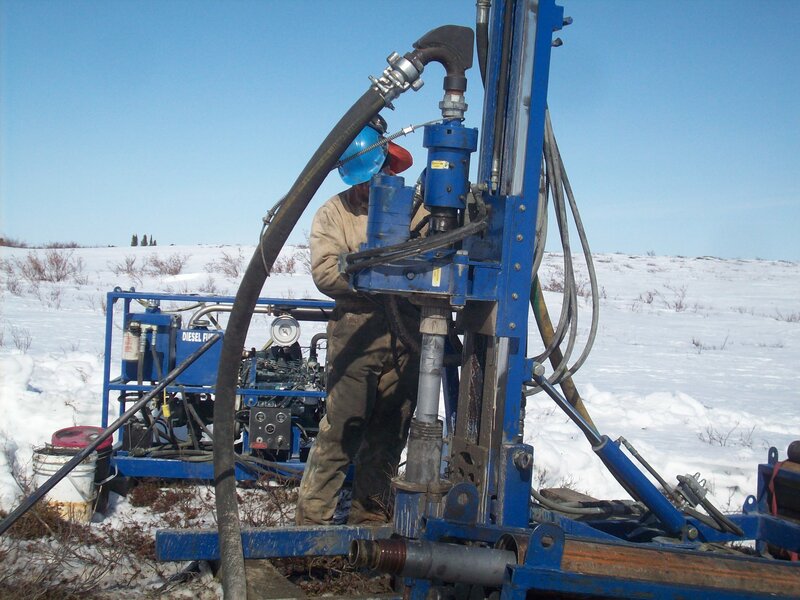 Gold exploration is also very expensive. 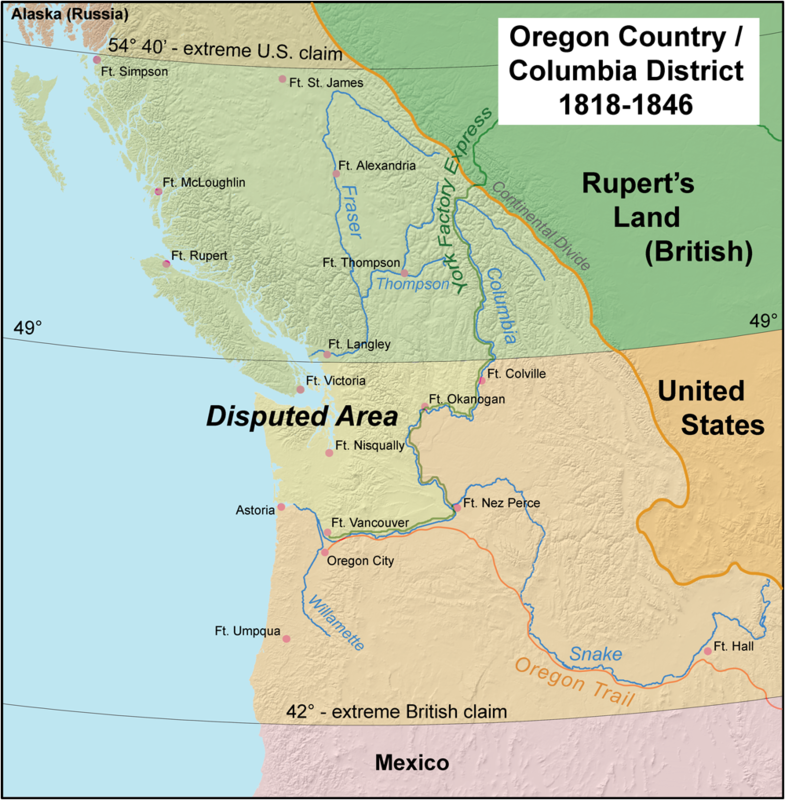 In the times of the North American gold rush placer and hard rock gold was discovered all over the Western part of the continent. 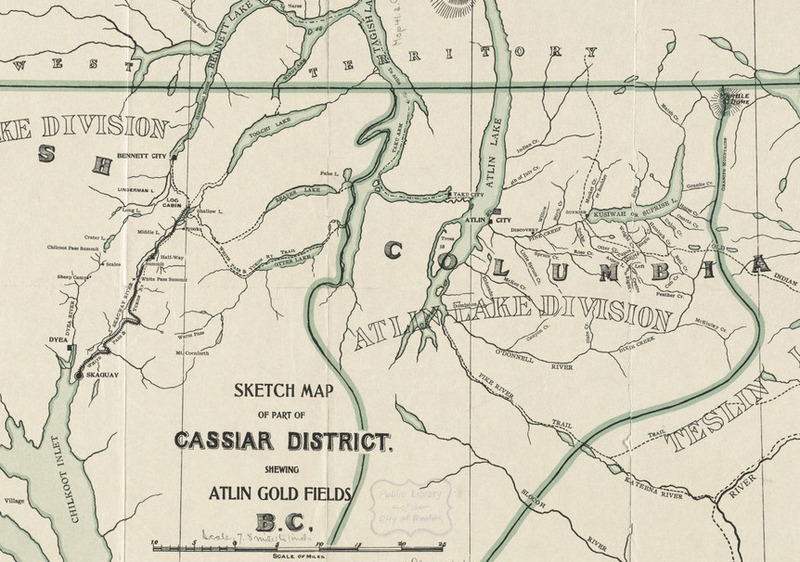 From the 1840s to 1900 new gold districts were popping up every year as discoveries were made. 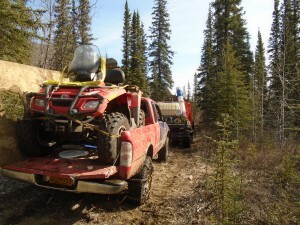 Trending almost in sequence Northward from California to the Yukon as explorers made their way through the wilderness. In more modern times most of the easily reachable areas have have been at least partially explored. Exploration today mostly takes place in more and more remote areas, such as the Canadian Arctic or other places with a small human footprint. To properly explore a claim in these areas requires a camp. helicopters and all kinds of equipment. 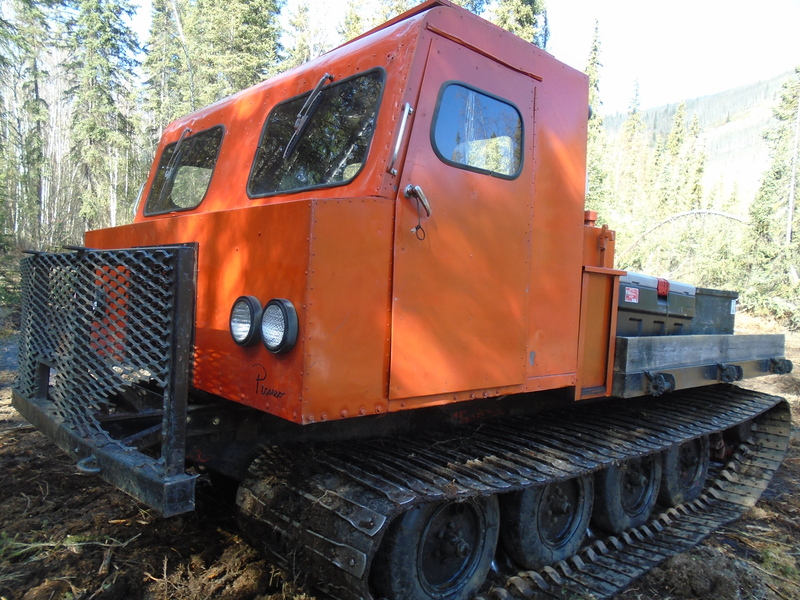 A typical small exploration program in the Northwest Territories can cost well over $1,000,000 per season with slim chances of success. While advancements in exploration technology such as geophysics and aerial imagery can provide information that wasn’t available to previous explorers there is no silver bullet. The costs of thousands of exploration ventures that didn’t amount to a mine are factored into the price of gold as well. For the estimated 100,000 explorers that took part in the Yukon gold rush only a select few managed to recoup their costs. Some made made great discoveries but many more spent their life savings on an adventure but returned with no gold. Gold’s value is based on it’s unique properties, people’s desire for the very special metal and the work required to find and produce it. The value has nothing to do with the the dollar value attached to it. For every ounce of gold produced tons of rock had to be excavated, the deposit had to be discovered and mapped, and the ore milled and smelted to extract the gold. As you gaze upon your gold ring and admire it’s beauty think about the story that it could tell you. The Big Bend refers to the shape of the Columbia River as it makes a huge detour at the continental divide. 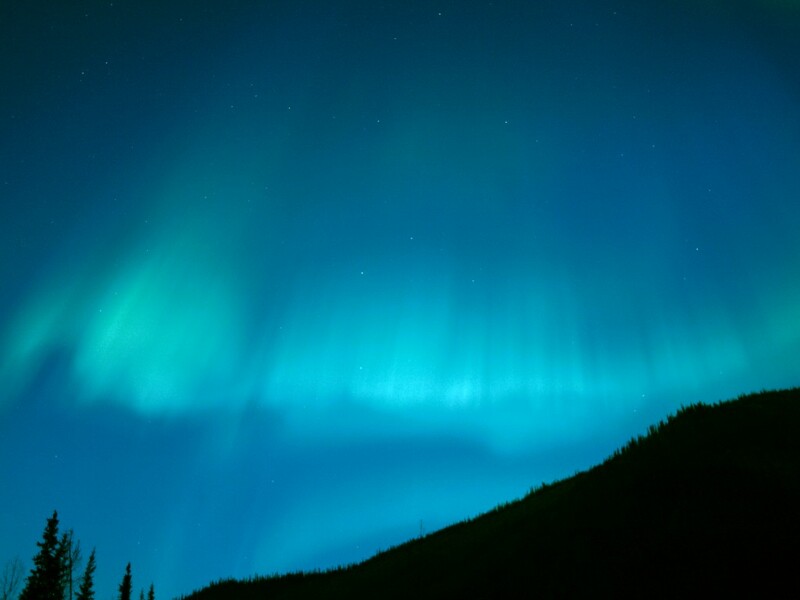 This region encompasses several different mountain ranges including the Selkirks, the Cariboo Mountains, the Monashees and the Rocky Mountains. 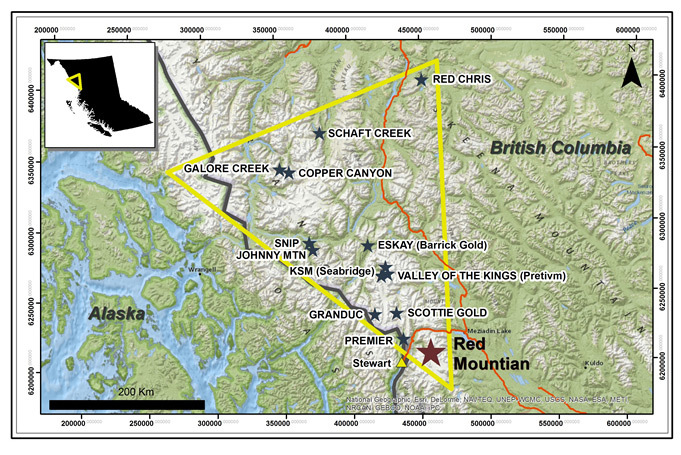 In 1865 gold was discovered on French Creek which is straight North of Revelstoke. 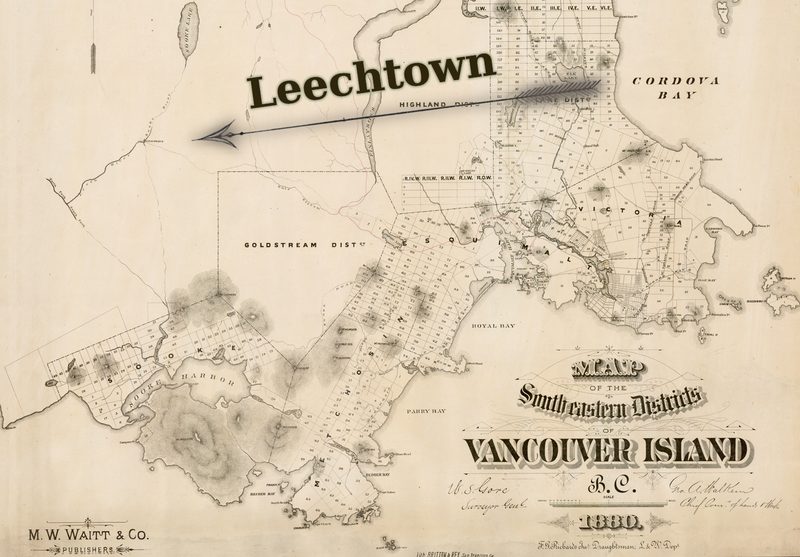 As in other gold rushes a town was quickly erected named French Creek City. Within the first year the town reached a population of over 4000 people. Nothing is left today but during the rush French Creek had a general store, saloons with cabaret shows, barber shops and of course brothels. Other important towns of the rush were La Porte and Downie Creek. 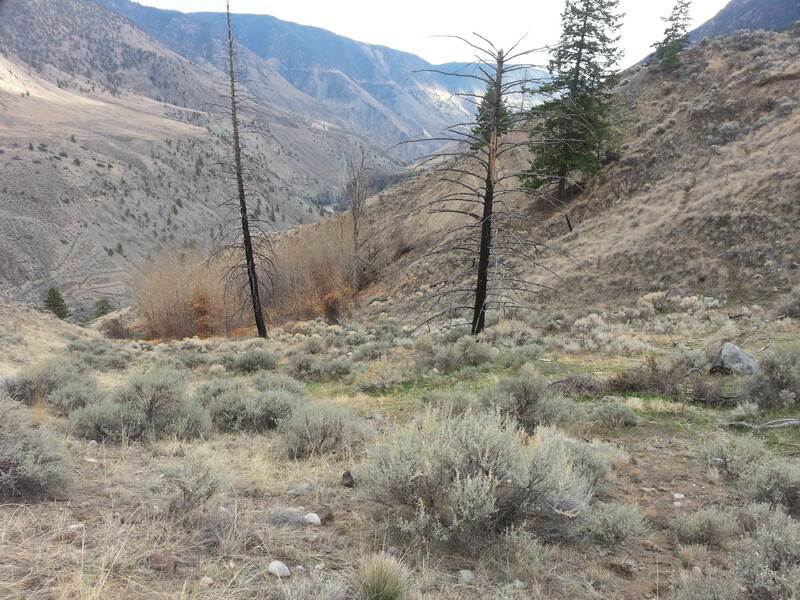 The inhabitants came mostly from the Wild Horse area and other areas in BC. 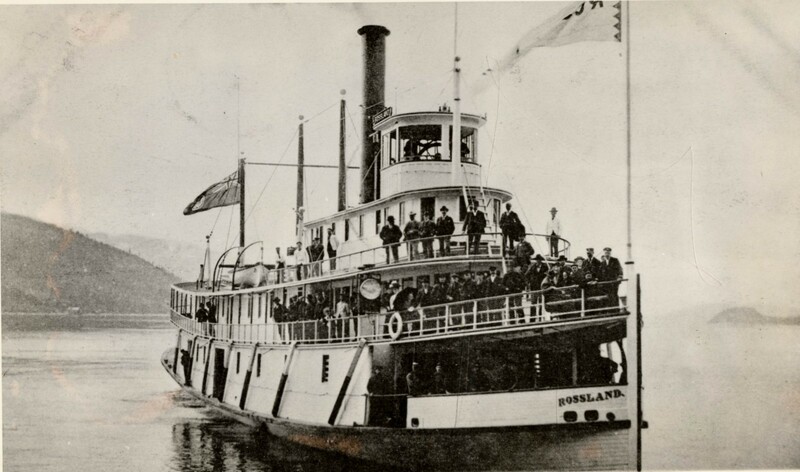 Steamboats were a major factor during the big bend gold rush. 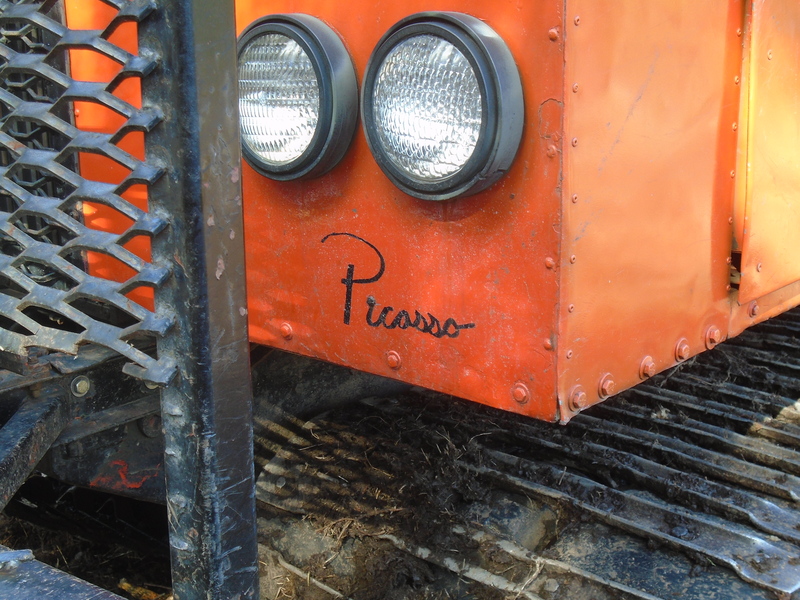 Many of the prospectors reached the area on steamboats via the Arrow Lakes which make up part of the Columbia River. 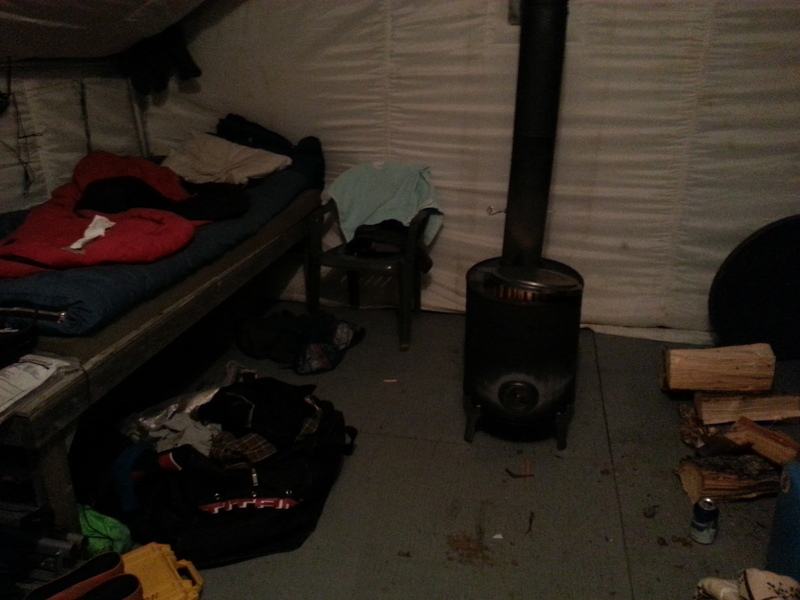 The lake network allowed boat passengers to travel from areas as far South as the US border. Other notable creeks in the area are Carnes Creek, Downie Creek, McCullough Creek, and the Goldstream River. A 14 ounce nugget was reported to be found on French Creek and numerous smaller nuggets were also found. In 1865 miners were bringing out multiple ounces per day to the man on some claims. On McCullough Creek pay streaks averaged 1/8 of an ounce per yard for many years. 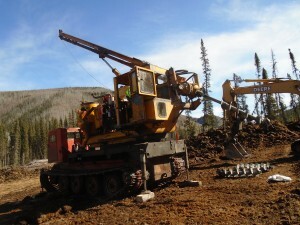 Just like other places in the late 1800s hydraulic and drift mining driven by mining companies and syndicates quickly replaced hand mining techniques. 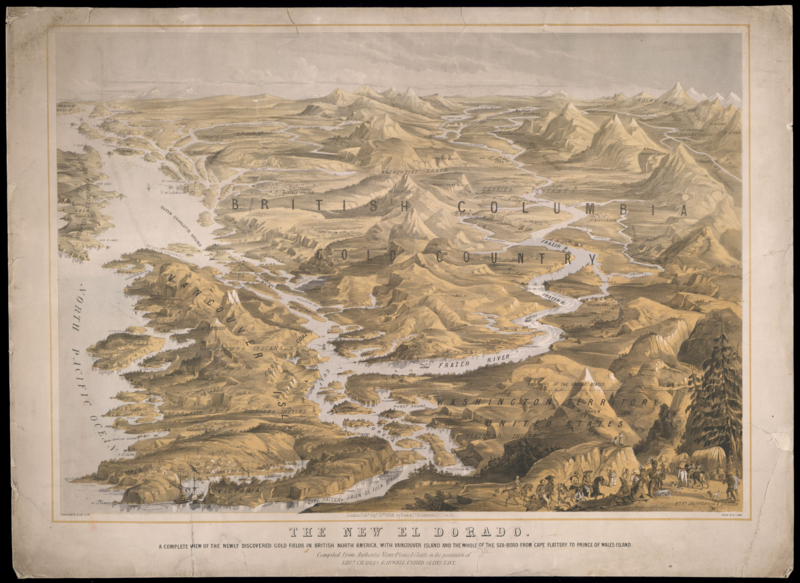 The big bend gold rush only lasted two years but mining in the area continues to this day. Several large projects and proposed mines are located in the big bend. 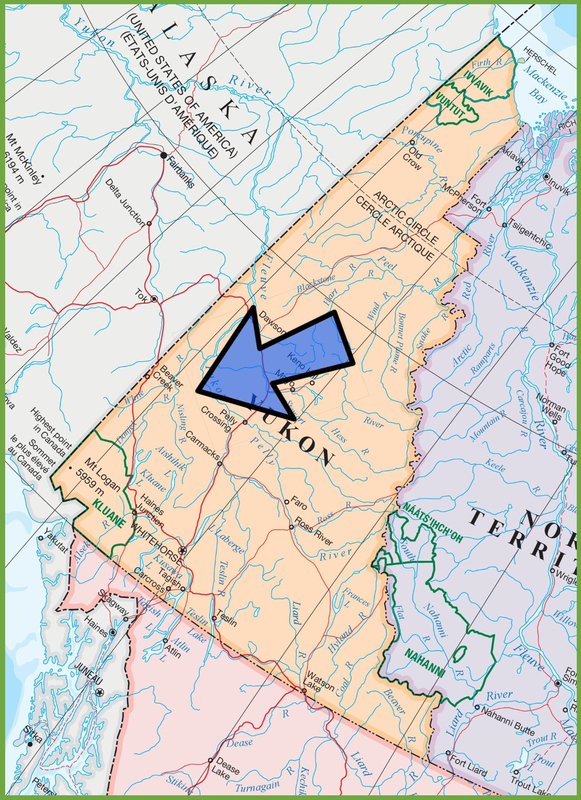 The Omineca is a huge region in Nortn-Central BC. 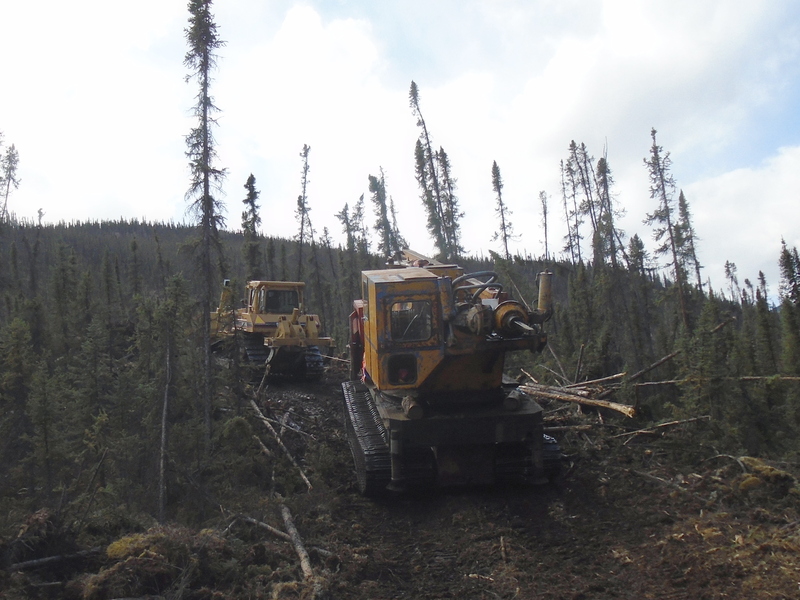 The southern boundary is marked today by the Yellowhead highway the North boundary is the Liard Mountains. 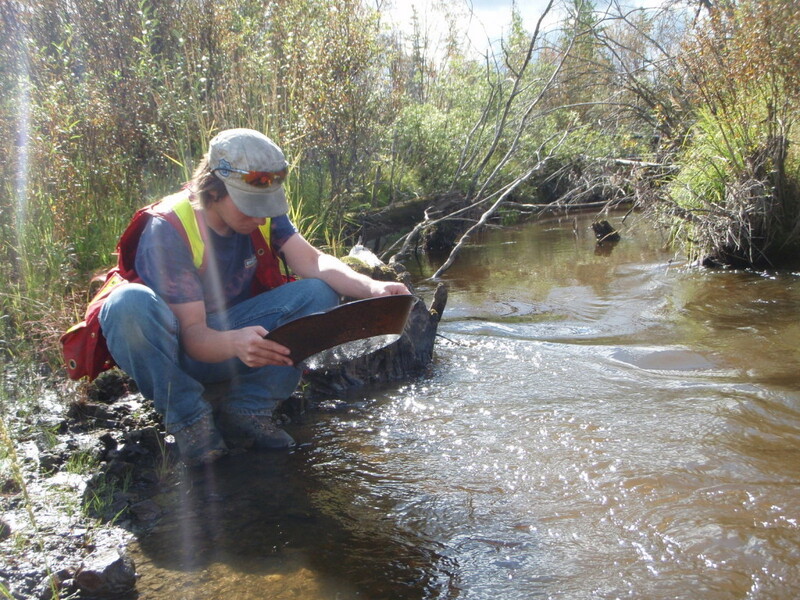 Gold was first discovered in the Omineca in 1861 but the rush didn’t take place until eight years later. The original discoveries were made on the Finlay River. In the early days there were very few people in the area due to a complete lack of trails, roads or maps and unforgiving terrain and weather. Much of the area is still wild today. One of the first claims on the Finlay called Toy’s Bar produced 4 ounces to the man each day. Several expeditions were launched though the area searching for gold. One such party, the Peace River Prospecting Party, found a great discovery on Vital Creek in 1869. 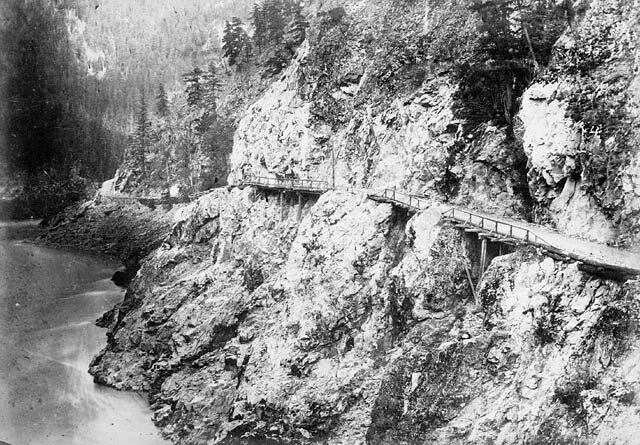 The creek was named after one of the party members, Vital Laforce who was also instrumental in exploring the Cariboo region. 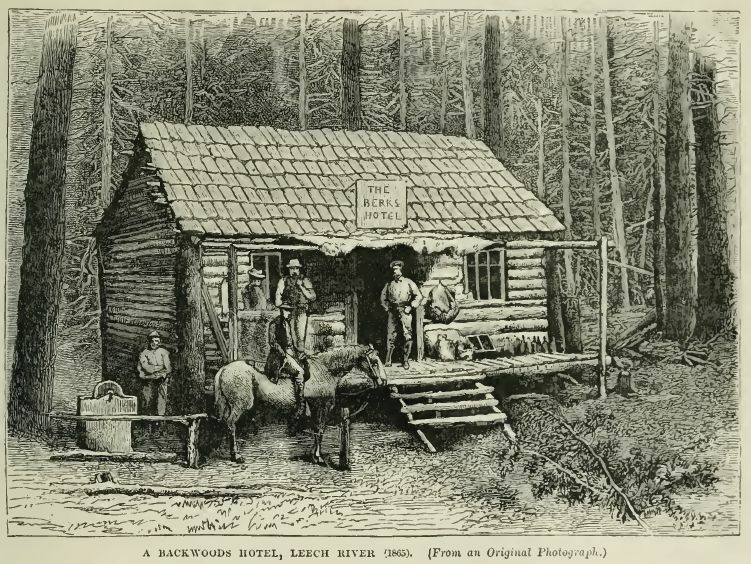 Vital Creek produced nearly 5000 ounces in the years following the rush. 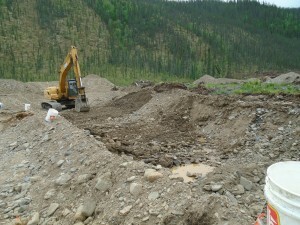 Manson Creek and the Germansen River held the best gold deposits in the Omineca. 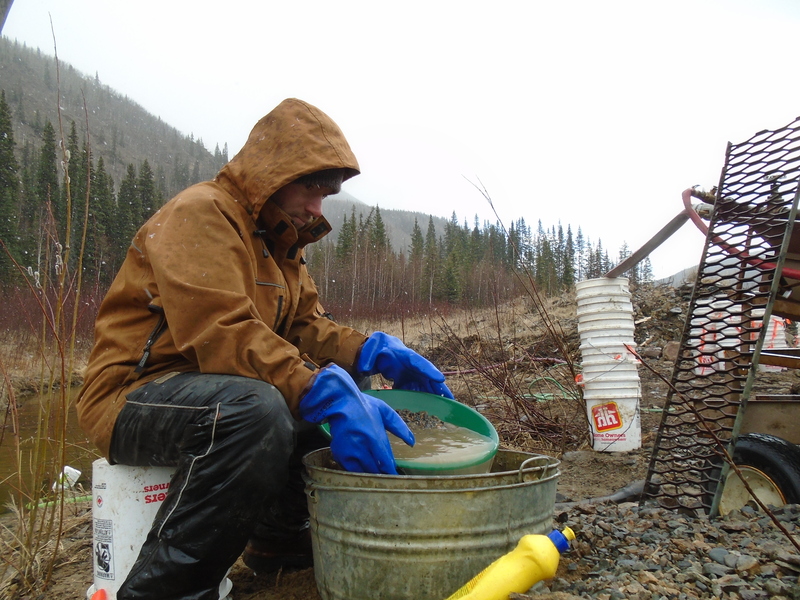 Gold discoveries were also made on Blackjack Creek, Kildare Creek, Mosquito Creek, Slate Creek and Nugget Gulch. In the early days of the gold rush anything less than an ounce a day was considered unworthy. 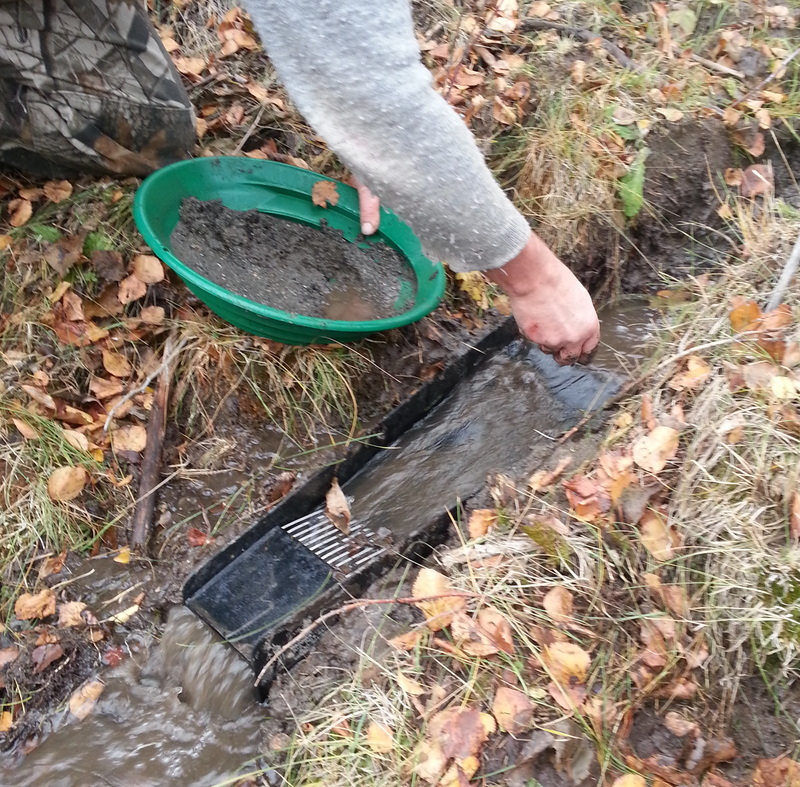 Many creeks were paying 100 ounces per week. 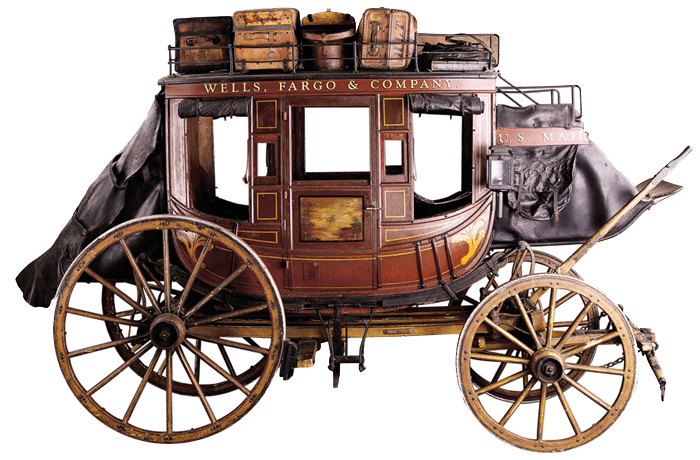 If the gold rush happened today that would be well over $100,000 every week. I’d be finding my way up there any any means possible. 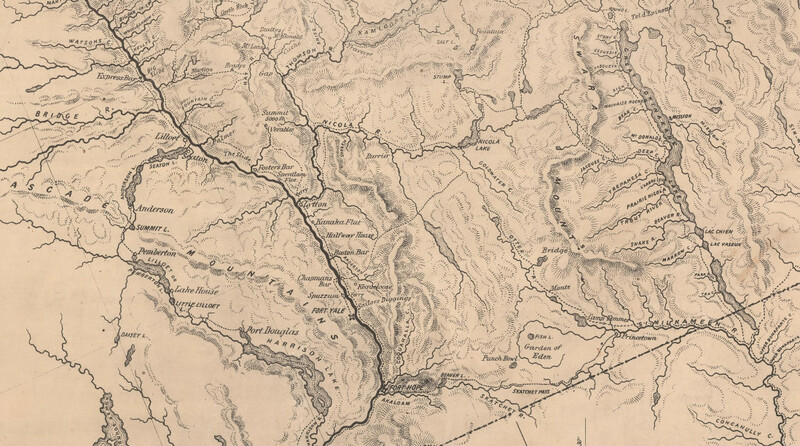 Travelling to the Omineca in the 1800s was a feat in itself. 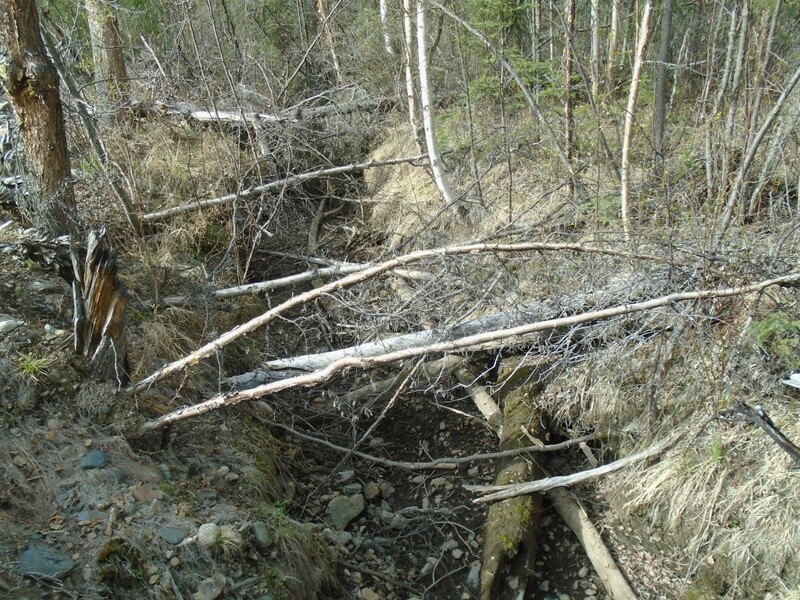 The discovery of gold in the Cassiar in 1873 spelled the end of the Omineca gold rush. As with all gold rushes those who held good ground stayed and kept mining while everyone else headed on to the next boom town. 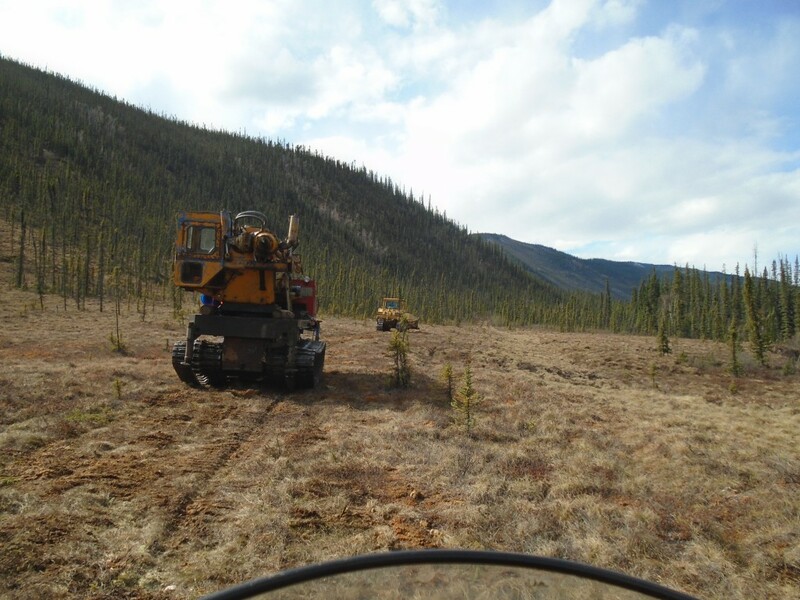 The Omineca is one of the least explored regions in BC today and there are still gold strikes waiting to be found. 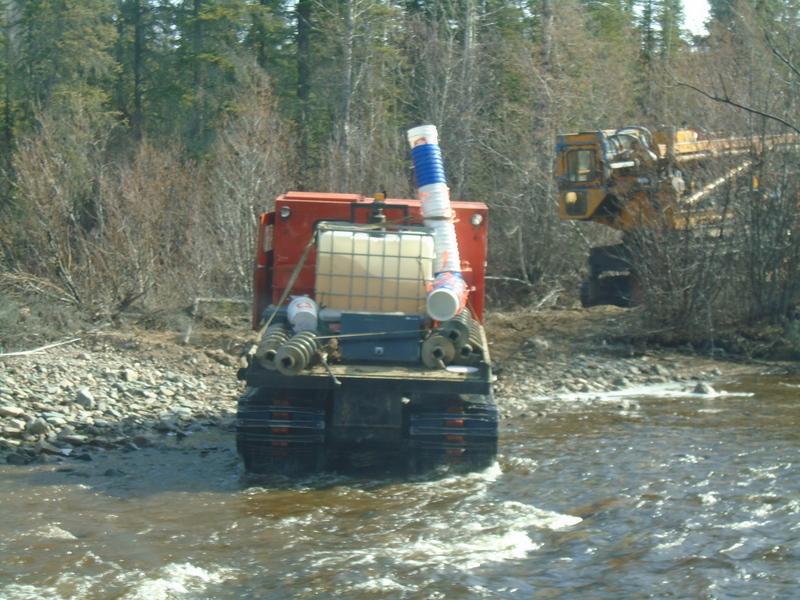 Gold was discovered on the Stikine River in 1861 and a minor rush developed. A few hundred prospectors ascended the river in search of gold. There was an existing fur trading fort at the mouth of the river called Fort Stikine which later became Wrangell, Alaska. Not enough gold was found to entice more adventurers to the region but the excitement was enough to prompt Britain into claiming the region as a colony in 1862. 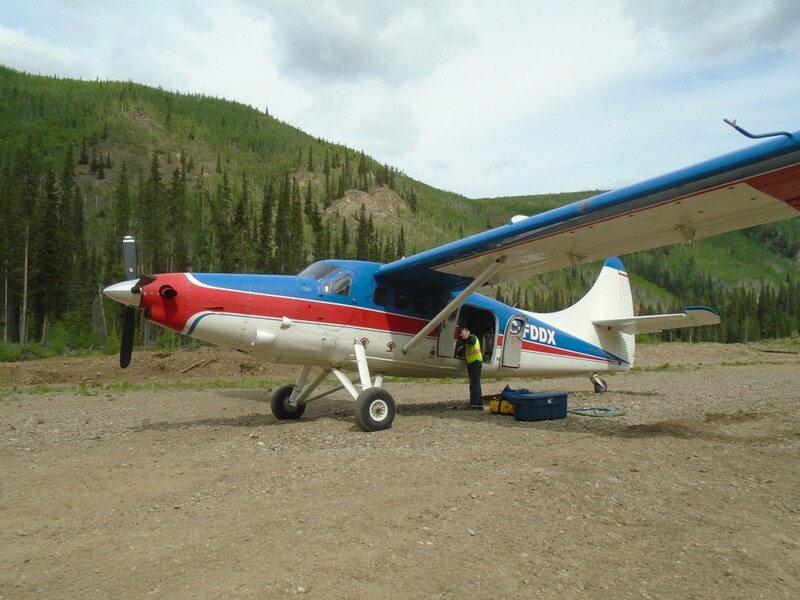 The Cassiar gold rush really took off once the high grade gold deposits in the extreme North of BC were discovered. This part of the country is extremely rugged with huge mountains, glaciers and a very cold winter. 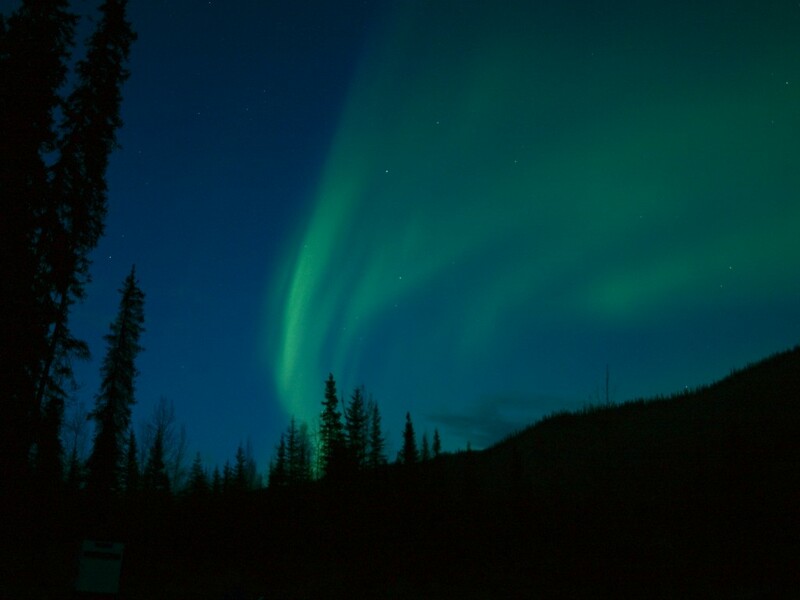 The discovery was made in the summer of 1872 by Henry Thibert and Angus McCulloch on a creek that drains into Dease Lake. The creek was named after Thibert who froze to death the following winter. Thibert Creek was very rich, in the first year miners were getting up to three ounces to the pan. 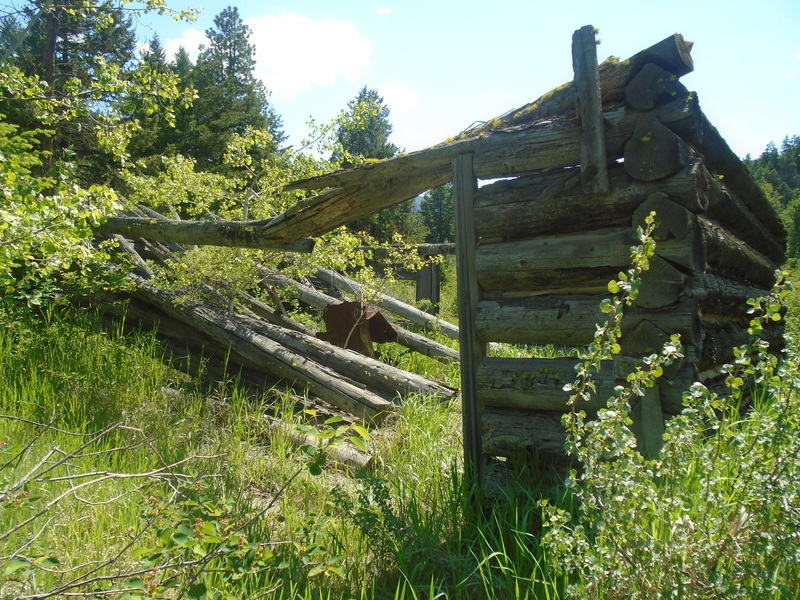 In 1874 an even bigger discovery was made further North on Mcdame Creek. 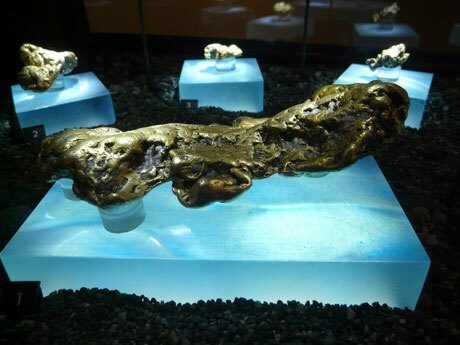 The largest gold nugget ever found in BC was taken from Mcdame Creek tipping the scale at 73 ounces! Another giant nugget was found on Alice Shea Creek that weighed 52 ounces. Several towns sprung up near the gold discoveries such as Laketon, Porter Landing and Centerville. They are all ghost towns now but in the height of the rush thousands of people were passing through the shops and saloons of the Cassiar. Like the Omineca much of this region is just as wild today as it was 150 years ago. The Cassiar’s rich gold reserves have not been forgotten. There are many large mining projects under way in the region. 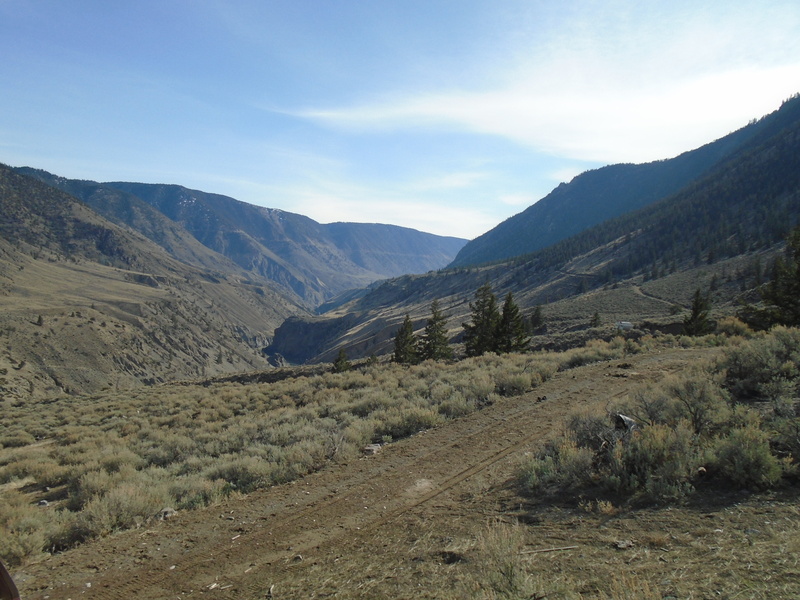 Due to the high grade mineral deposits the area is known as BC’s “Golden Triange”. Granite Creek is a tributary to the Tulameen River. 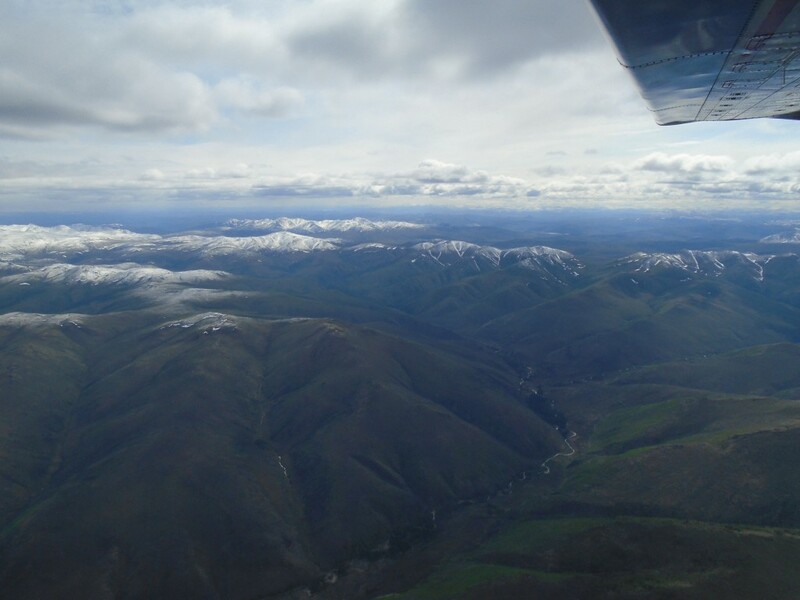 In the gold rush era of the late 1800s the Tulameen was still a remote and wild area. 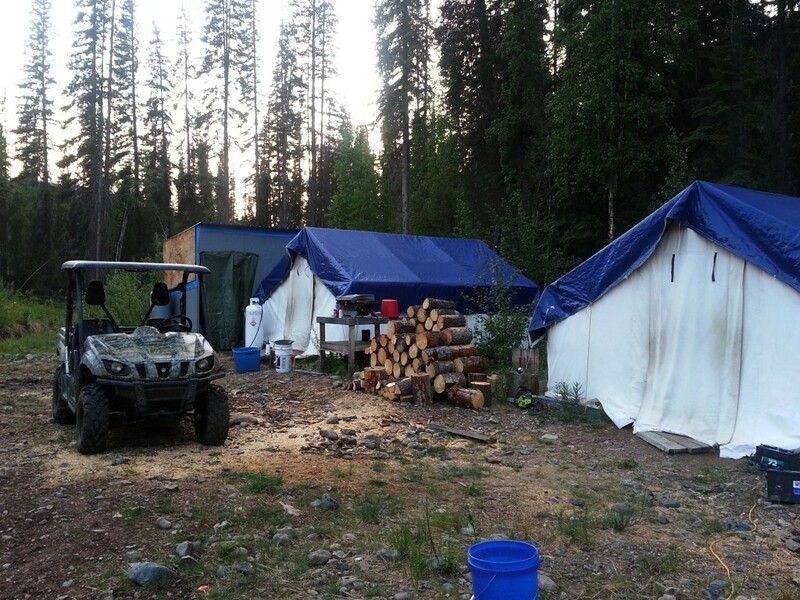 Like many of the best discoveries the Granite Creek gold was found by chance. In this case it was actually found by a cowboy named Johnny Chance. 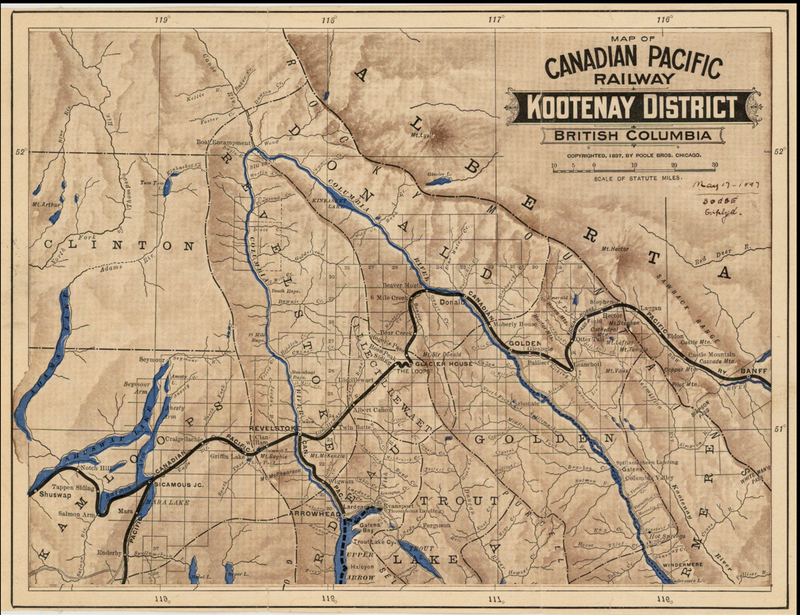 In the summer of 1885 Chance was delivering some horses to New Westminster and took a route through the Tulameen. True to his lazy nature he took a nap at a spot on Granite Creek on a hot day. When he woke up he happened to notice the reflection of some gold nuggets in the water. 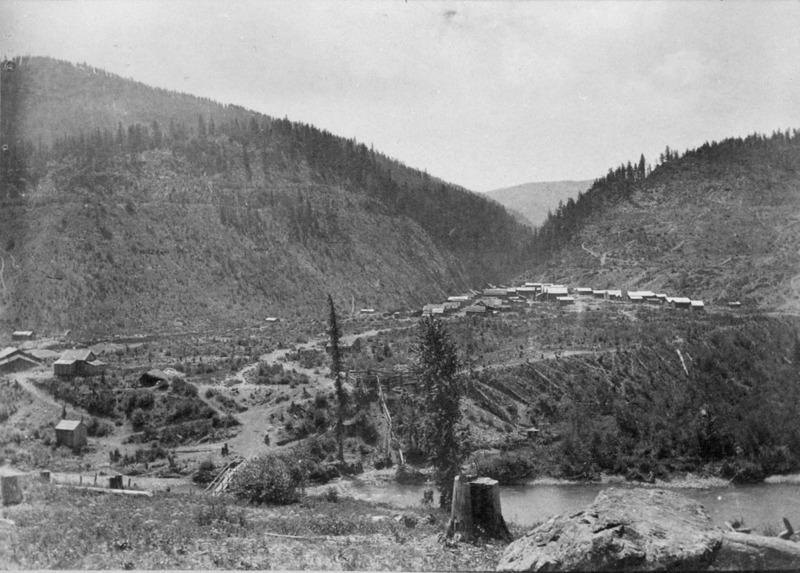 Within a year of the discovery the once vacant valley at the mouth of Granite Creek had over 2000 people living there. 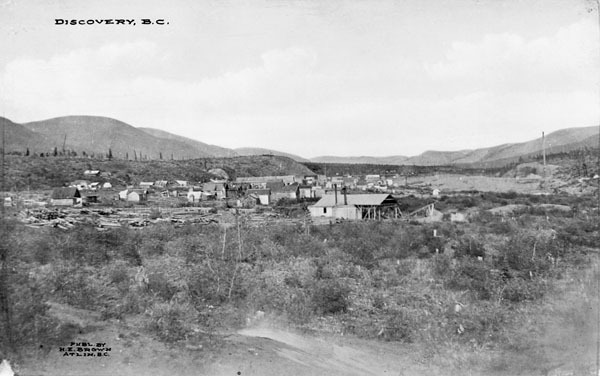 At the time Granite City was the third largest town in BC. There were over two hundred buildings, 13 of which were saloons. The town never had a school or a mayor though. The bars in Granite ran flat out and never closed down. It was known as one of the wildest towns in the West. In the early days gold nuggets weighing 5-10 ounces were commonly found. Platinum was also prevalent on the creek. Miners were producing equal weights of platinum and gold. 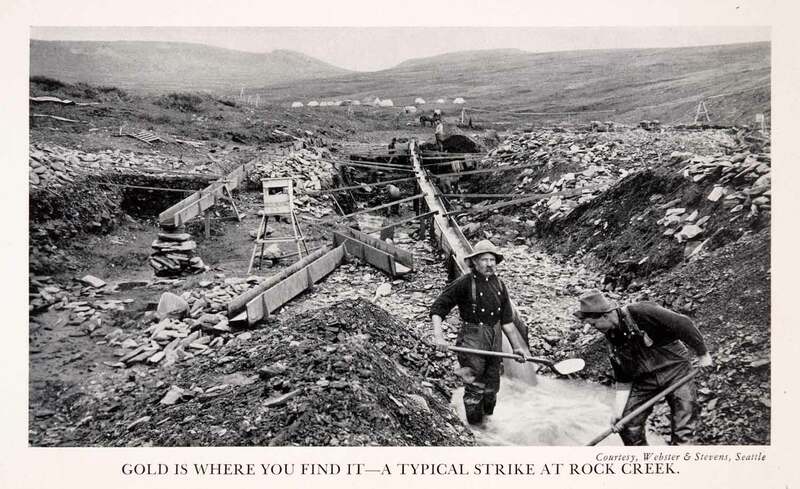 Interestingly for the first few years the Granite Creek miners had no idea what platinum was and most of them threw it back into the creek. At today’s prices gold is going for $1077/oz and platinum is at $870/oz. 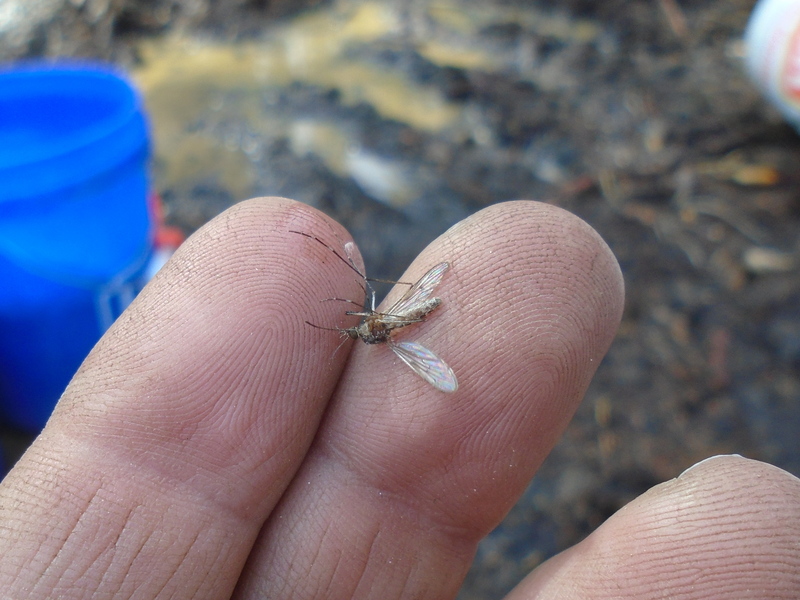 The Granite Creek rush brought attention to the surrounding area as well. Other notable creeks in the Tulameen are Slate Creek, Lawless Creek, Lockie Creek and the Tulameen River. Gold and platinum are still being produced today. 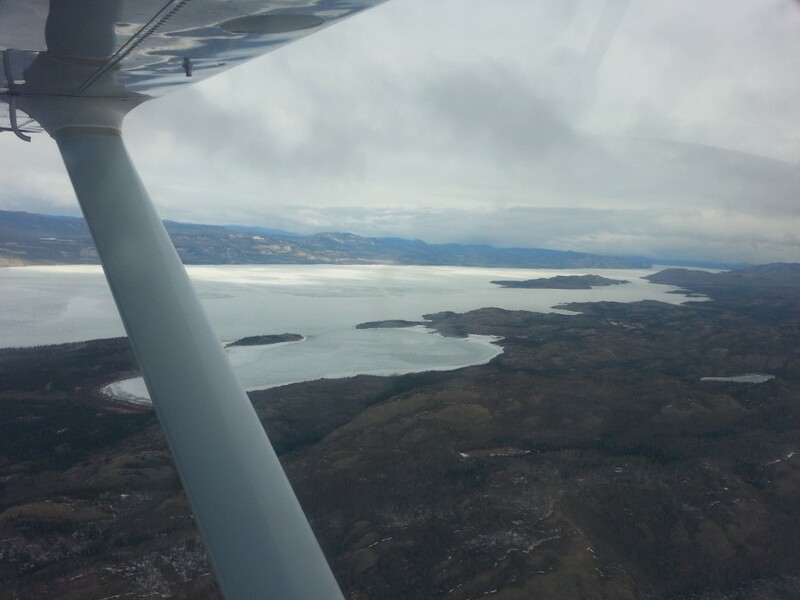 I heard from a Princeton local that the biggest nuggets to come out of the Tulameen this year were over an ounce. 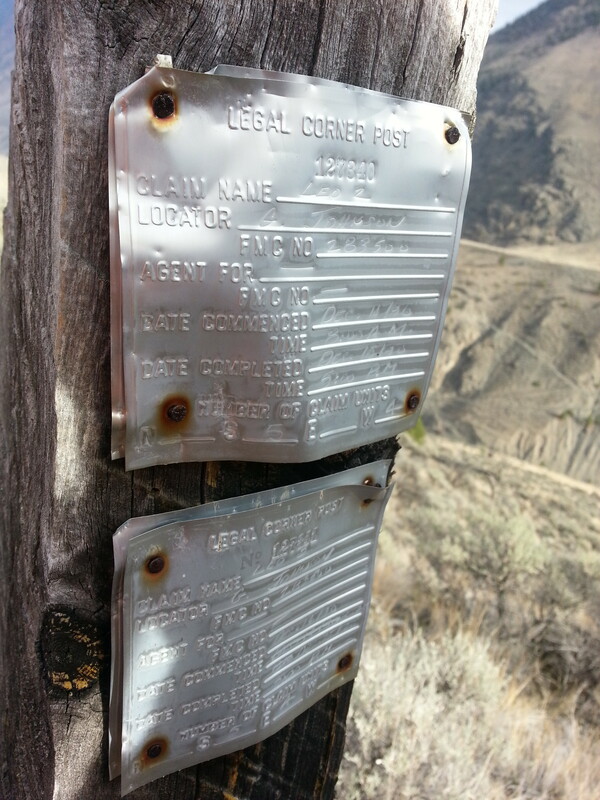 I have some claims on Granite Creek and the Tulameen River myself. 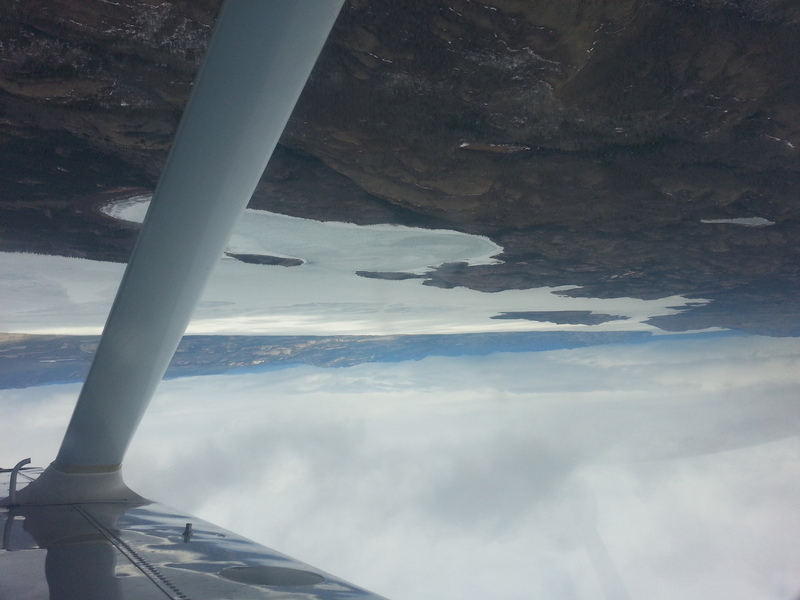 Check this post from earlier this year Tulameen Prospecting Trip. By the end of the 1890s the population of Granite City began to decline. 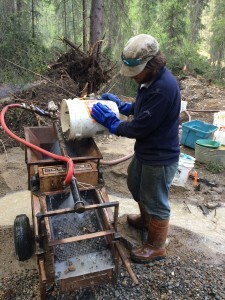 The easy gold was all claimed and in the process of being mined. 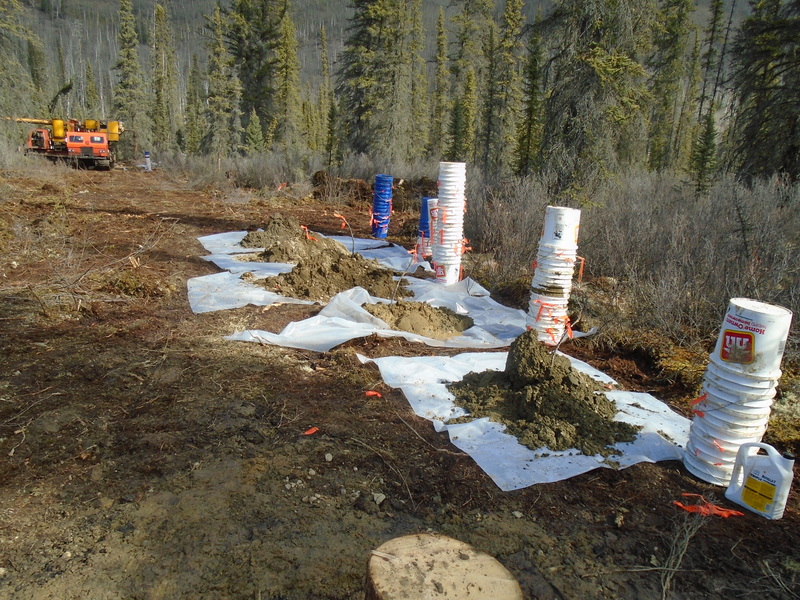 Those that didn’t already hold good ground headed North to try their luck in the Atlin and Klondike gold rushes that followed. 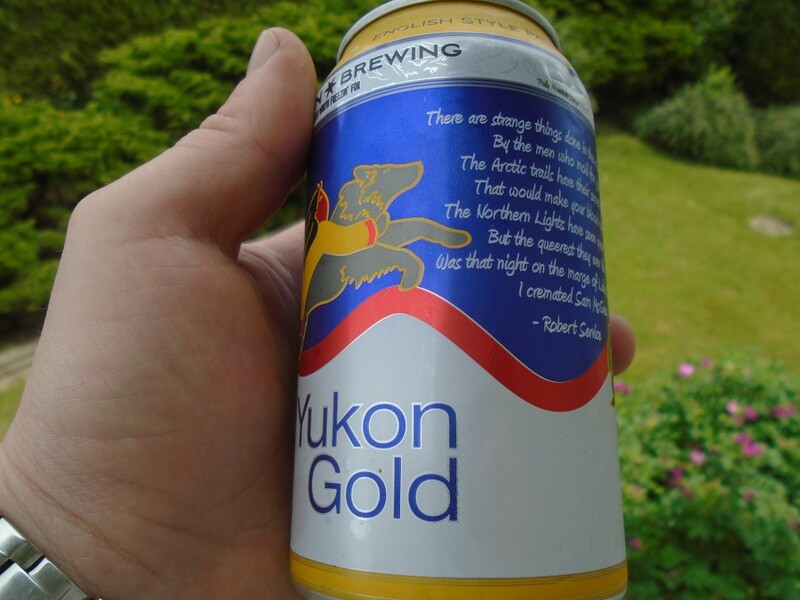 The Atlin gold rush was the last one to take place in BC. 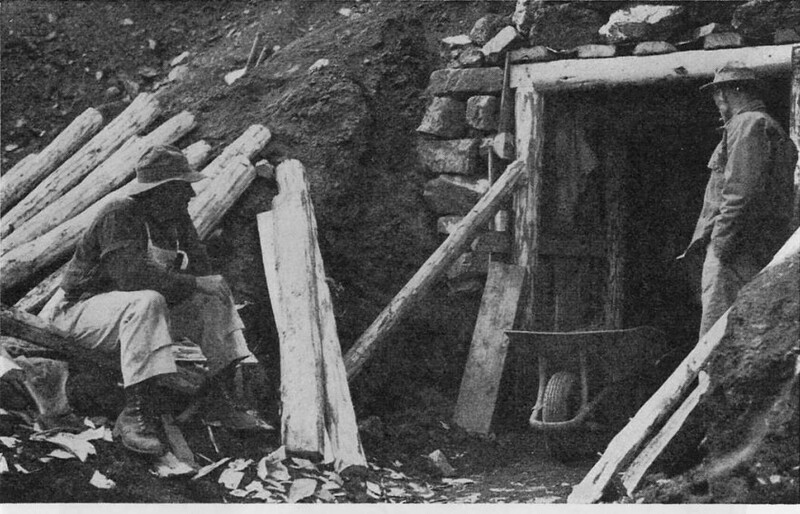 It was a direct offshoot of the Klondike gold rush that took the world by storm. 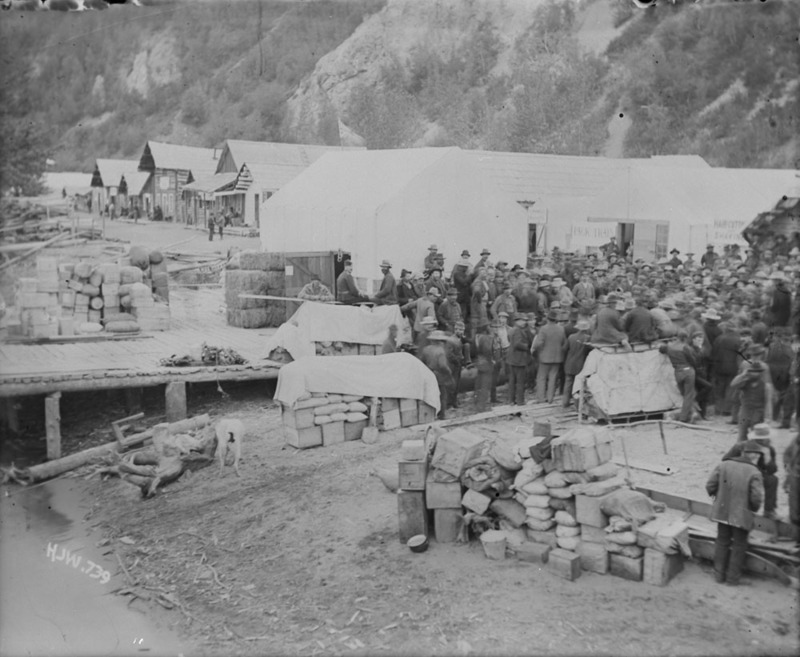 The Klondike was the mother of all gold rushes, over 100,000 adventurers poured into Dawson City, YK from all over the world. 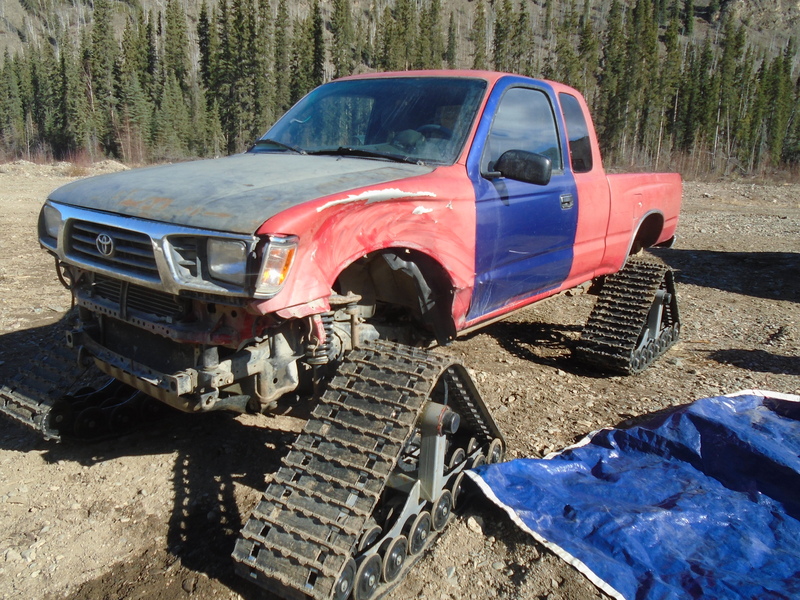 Some of the adventurous prospectors took a different route and ended up in Atlin. The first big discovery was on Pine Creek. A town was set up on Pine Creek aptly named Discovery. 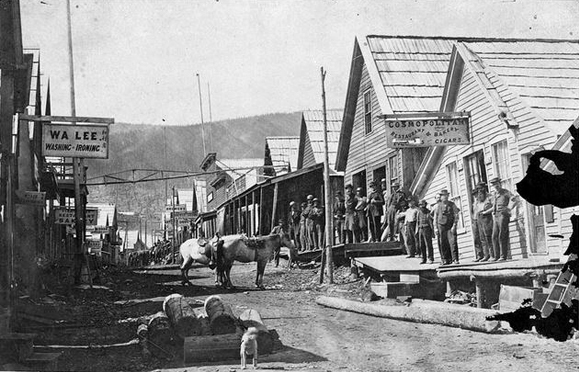 At it’s peak there were over 10,000 people living in Discovery which was rivalled only by the infamous Dawson City. Discovery had all the excitement of Dawson. There were saloons, brothels, and gambling available at all hours of the day. 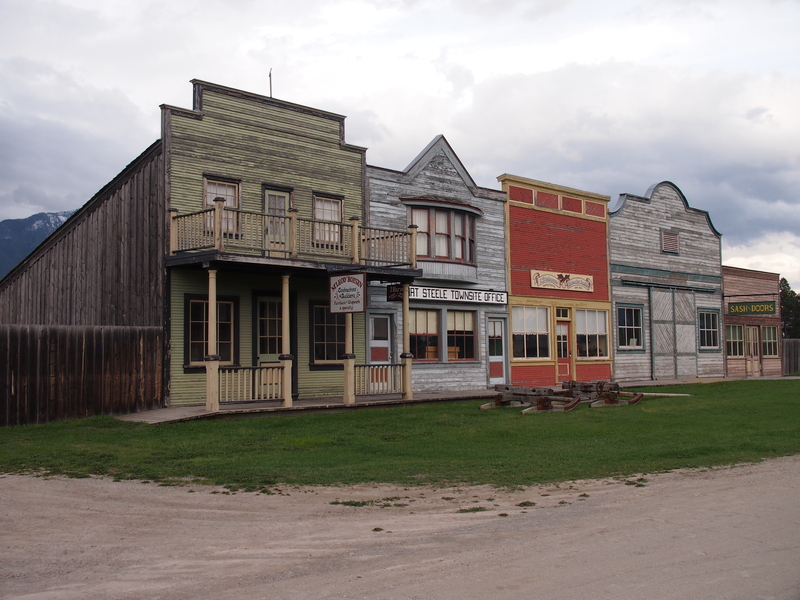 Discovery is a ghost town today, it was replaced by the town of Atlin. The gold that was found in the Atlin area was truly legendary. It is estimated that over 1.5 million ounces of placer gold have been produced from the creeks. Some giant nuggets were found too. 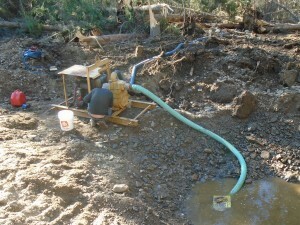 Several creeks are known to have produced nuggets in excess of 50 ounces! The best placer gold creeks were Pine Creek, Spruce Creek, Ruby Creek, McKee Creek, Birch Creek, Boulder Creek, Otter (Surprise) Creek, and the McDonnel River. Atlin is a beautiful town, I had the pleasure of working up there a few years ago. In the early 1900s it was nicknamed the “Switzerland of the North” due to the picturesque mountain setting. 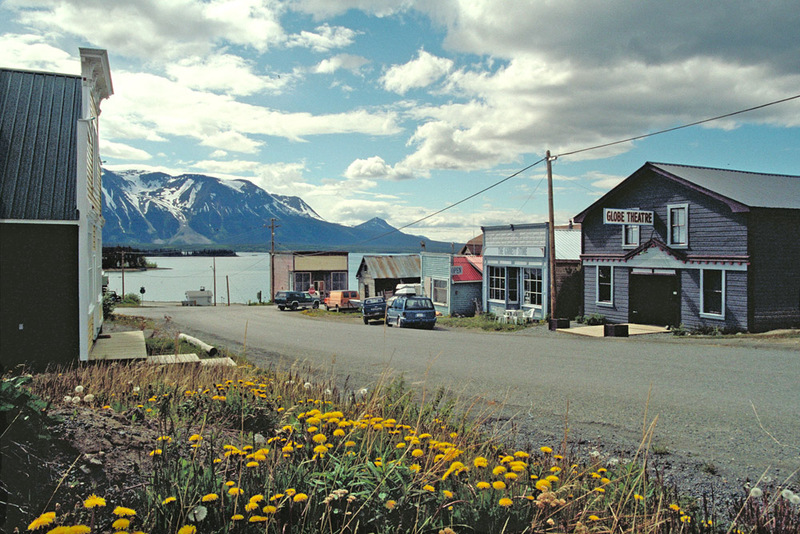 In many ways Atlin is like Dawson City’s little brother. The music festival is smaller, the gold rush was smaller, less gold was produced but the Klondike is nowhere near as scenic. 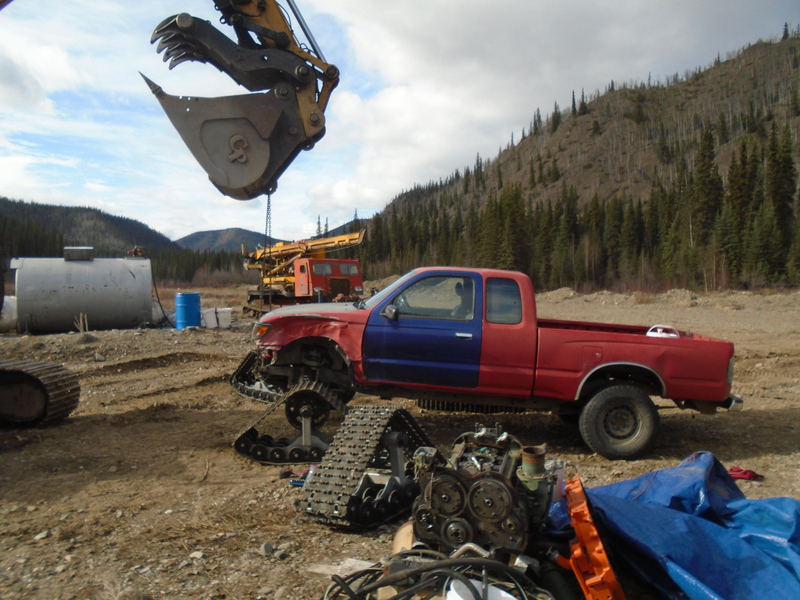 Gold mining in Atlin has never stopped. Every time the gold price spikes the area receives another mini gold rush. There are a lot of large hard rock mining prospects in the area as well. The region is not far from the golden triangle and benefits from similar underlying geology. 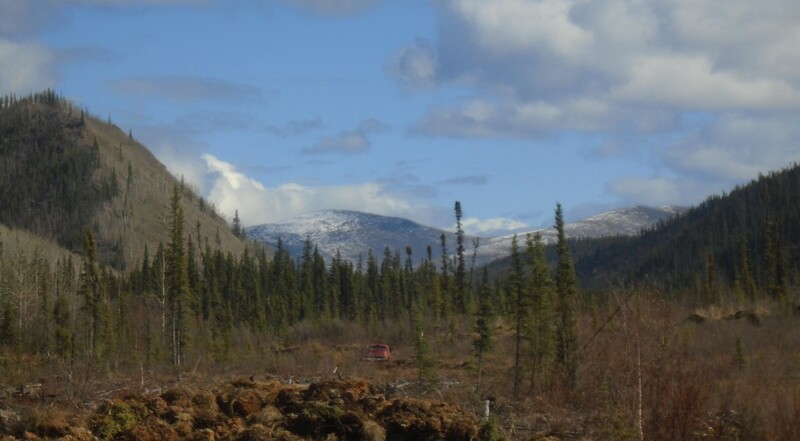 Due to its remote location the area is very under explored and has outstanding potential for exploration. 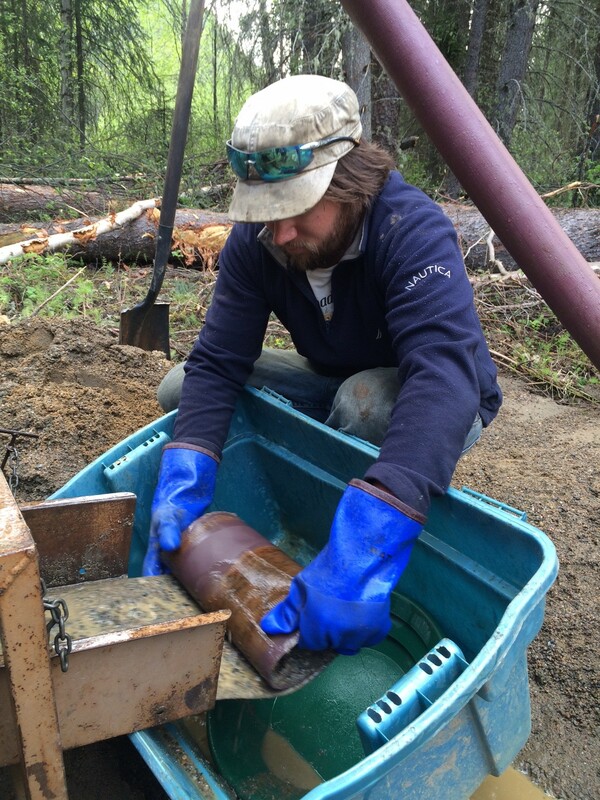 The history of British Columbia is the history of gold and the men who hunt for it. 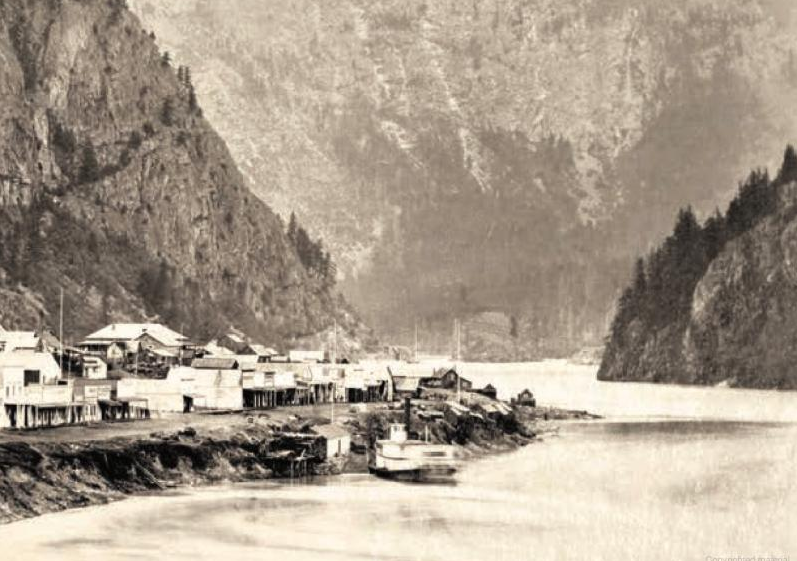 It was the Fraser River gold rush that led to BC becoming a colony and later a province. Our towns, overland trails and roads, and much of the early infrastructure was built to support gold mining activity. 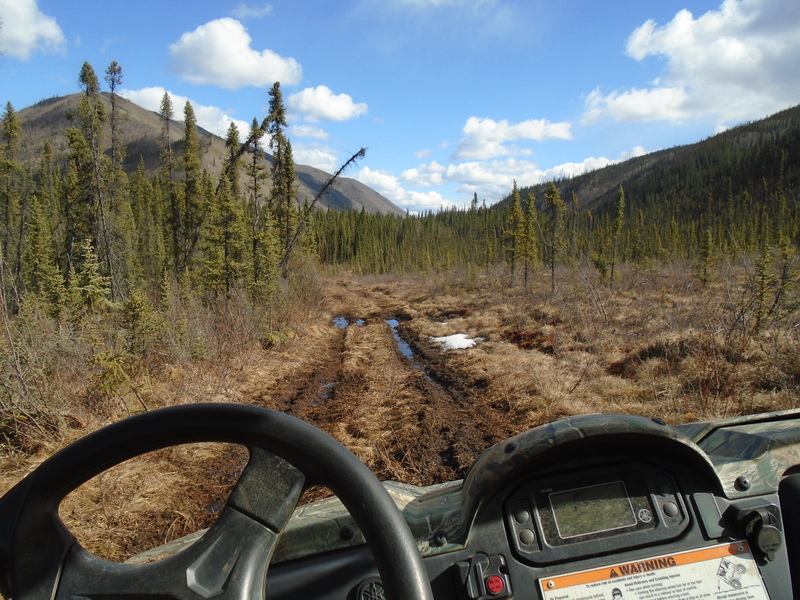 Without our lust for precious metal men would not have risked their lives to explore the rugged and unforgiving wilderness of this beautiful province.